Combating tax evasion through increased tax transparency and compliance. Regulating SWAP transactions by US persons. Increasing market integrity and investor protection. Regulating investment services within the European Economic Area. We’re committed to complying with the regulations in the markets where we operate. This document is not research material and it has not been prepared in accordance with legal requirements designed to promote the independence of investment research and is not subject to any prohibition on dealing ahead of the dissemination of investment research. This document does not necessarily represent the views of every function within Standard Chartered Bank, particularly those of the Global Research function. 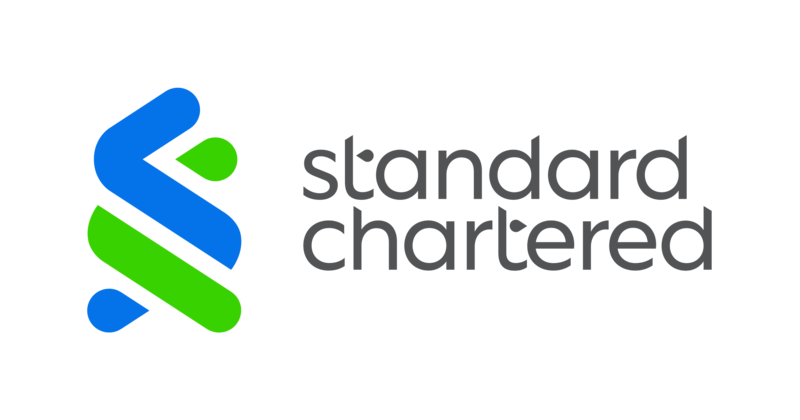 Standard Chartered Bank is incorporated in England with limited liability by Royal Charter 1853 Reference Number ZC18. The Principal Office of the Company is situated in England at 1 Basinghall Avenue, London, EC2V 5DD. Standard Chartered Bank is authorised by the Prudential Regulation Authority and regulated by the Financial Conduct Authority and Prudential Regulation Authority. Banking activities may be carried out internationally by different Standard Chartered Bank branches, subsidiaries and affiliates (collectively “SCB”) according to local regulatory requirements. With respect to any jurisdiction in which there is a SCB entity, this document is distributed in such jurisdiction by, and is attributable to, such local SCB entity. Recipients in any jurisdiction should contact the local SCB entity in relation to any matters arising from, or in connection with, this document. Not all products and services are provided by all SCB entities. Investment involves risks. The prices of investment products fluctuate, sometimes dramatically. The price of investment products may move up or down, and may become valueless. It is as likely that losses will be incurred rather than profit made as a result of buying and selling investment products. You should not rely on any contents of this document in making any investment decisions. Before making any investment, you should carefully read the relevant offering documents and seek independent legal, tax and regulatory advice. In particular, we recommend you to seek advice regarding the suitability of the investment product, taking into account your specific investment objectives, financial situation or particular needs, before you make a commitment to purchase the investment product. Opinions, projections and estimates are solely those of SCB at the date of this document and subject to change without notice. Past performance is not indicative of future results and no representation or warranty is made regarding future performance. Any forecast contained herein as to likely future movements in rates or prices or likely future events or occurrences constitutes an opinion only and is not indicative of actual future movements in rates or prices or actual future events or occurrences (as the case may be). This document has not been and will not be registered as a prospectus in any jurisdiction and it is not authorised by any regulatory authority under any regulations. SCB makes no representation or warranty of any kind, express, implied or statutory regarding, but not limited to, the accuracy of this document or the completeness of any information contained or referred to in this document. This document is distributed on the express understanding that, whilst the information in it is believed to be reliable, it has not been independently verified by us. SCB accepts no liability and will not be liable for any loss or damage arising directly or indirectly (including special, incidental or consequential loss or damage) from your use of this document, howsoever arising, and including any loss, damage or expense arising from, but not limited to, any defect, error, imperfection, fault, mistake or inaccuracy with this document, its contents or associated services, or due to any unavailability of the document or any part thereof or any contents. SCB, and/or a connected company, may at any time, to the extent permitted by applicable law and/or regulation, be long or short any securities, currencies or financial instruments referred to on this document or have a material interest in any such securities or related investment, or may be the only market maker in relation to such investments, or provide, or have provided advice, investment banking or other services, to issuers of such investments. Accordingly, SCB, its affiliates and/or subsidiaries may have a conflict of interest that could affect the objectivity of this document. This document must not be reproduced, forwarded or otherwise made available to any other person without the express written consent of SCB, nor should it be distributed into any other jurisdiction unless permitted by the local laws and regulations of that jurisdiction. Neither SCB nor any of its directors, employees or agents accept any liability whatsoever for the actions of third parties in this respect. Copyright: Standard Chartered Bank 2018. Copyright in all materials, text, articles and information contained herein is the property of, and may only be reproduced with permission of an authorised signatory of, Standard Chartered Bank. Copyright in materials created by third parties and the rights under copyright of such parties are hereby acknowledged. Copyright in all other materials not belonging to third parties and copyright in these materials as a compilation vests and shall remain at all times copyright of Standard Chartered Bank and should not be reproduced or used except for business purposes on behalf of Standard Chartered Bank or save with the express prior written consent of an authorised signatory of Standard Chartered Bank. All rights reserved. © Standard Chartered Bank 2018. Standard Chartered Private Bank is the private banking division of SCB. Private banking activities may be carried out internationally by different SCB legal entities and affiliates according to local regulatory requirements. Not all products and services are provided by all SCB branches, subsidiaries and affiliates. Some of the SCB entities and affiliates only act as representatives of the Standard Chartered Private Bank, and may not be able to offer products and services, or offer advice to clients. They serve as points of contact only. Standard Chartered Bank is incorporated in England with limited liability by Royal Charter 1853 Reference Number ZC18. The Principal Office of the Company is situated in England at 1 Basinghall Avenue, London, EC2V 5DD. Standard Chartered Bank is authorised by the Prudential Regulation Authority and regulated by the Financial Conduct Authority and Prudential Regulation Authority. Banking activities may be carried out internationally by different Standard Chartered Bank branches, subsidiaries and affiliates (collectively “SCB”) according to local regulatory requirements. Opinions may contain outright "buy", "sell", "hold" or other opinions. The time horizon of this opinion is dependent on prevailing market conditions and there is no planned frequency for updates to the opinion. This opinion is not independent of SCB’s own trading strategies or positions. SCB and/or its affiliates or its respective officers, directors, employee benefit programmes or employees, including persons involved in the preparation or issuance of this document may at any time, to the extent permitted by applicable law and/or regulation, be long or short any securities or financial instruments referred to in this document or have material interest in any such securities or related investments. Therefore, it is possible, and you should assume, that SCB has a material interest in one or more of the financial instruments mentioned herein. If specific companies are mentioned in this communication, please note that SCB may at times do business or seek to do business with the companies covered in this communication; hold a position in, or have economic exposure to, such companies; and/or invest in the financial products issued by these companies. Further, SCB may be involved in activities such as dealing in, holding, acting as market makers or liquidity providers, or performing financial or advisory services including but not limited to, lead manager or co-lead manager in relation to any of the products referred to in this communication. SCB may have received compensation for these services and activities. Accordingly, SCB may have a conflict of interest that could affect the objectivity of this communication. SCB has in place policies and procedures, logical access controls and physical information walls to help ensure confidential information, including material non-public or inside information is not disclosed unless in line with its policies and procedures and the rules of its regulators. Please refer to https://www.sc.com/en/banking-services/market-disclaimer.html for more detailed disclosures, including past opinions in the last 12 months and conflict of interests, as well as disclaimers. This document must not be forwarded or otherwise made available to any other person without the express written consent of SCB.